In any discussion surrounding the topic of next-generation networking, network functions virtualization (NFV) and software-defined networking (SDN) are undoubtedly part of the conversation. So understanding these technologies is crucial to keeping up with the constant evolution of networking. 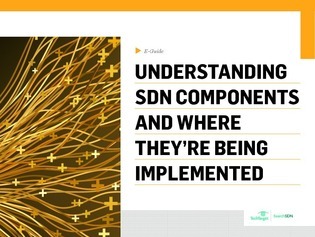 In this expert e-guide, IT expert Andrew Froehlich explains what SDN is, how the approach differs from NFV, and where SDN components are being implemented in current enterprise networks.